I’m already missing the Maestro. It’s been a long and serious acquaintance, beginning in a Vermont winter when, as part of a six-week course in Latin American fiction, I opened One Hundred Years of Solitude and felt the world and my paradigms shift. It was required reading in a class that both thwarted and enthralled me. The teacher couldn’t teach: we had all established that when he marched us through some wonderful stories by Juan Rulfo and Julio Cortazar, offering plot summaries instead of the hows and whys of understanding, shedding no light on unfamiliar ground, but still managing to do one basic thing that a college class should always do—to make introductions to something rich and strange and entirely new to the students. It was the best novel I read in college. One Hundred Years of Solitude was many things—a profound meditation on myth and history, a truly, ardently Latin American novel, and one of the most breath-takingly beautiful virtuoso performances in the whole goddamned world of storytelling. 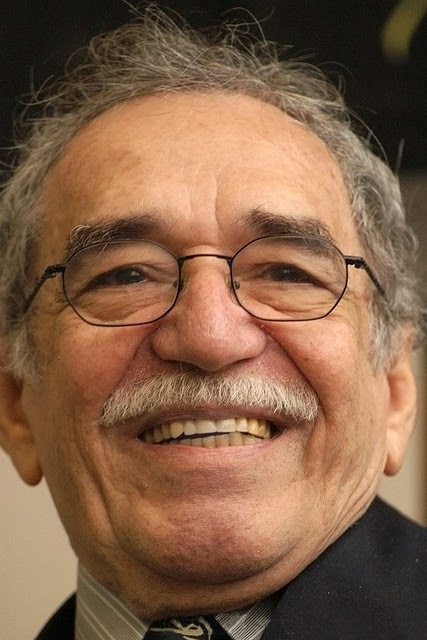 By now there are no spoilers: Garcia Marquez’s great scenes and almost musical narrative sequences are so fixed in our memories that they are icons of modernism. The visits of the gypsies, the plague of insomnia, the Banana Company Massacre. If you know the book, the simple phrases conjure recollection—the convoluted epic, stories popping in and out of each other like tales in Ovid’s Metamorphoses. It was a kind of novel I had never seen. Something that seemed to me entirely new in prose fiction, though I would find out later that One Hundred Years had illustrious ancestors—other Latin American authors like Carpentier and Asturias. European writers like Calvino and Kafka and strange old Bruno Schultz. The way that the fantastic brushed against the plausible, the way the voice of the story refused to take sides—it was all telling me that the space of imagining was wider than the world itself, a lesson Tolkien had taught me years before, but revisited in new form. Macondo felt historical, and indeed it was. Latin American history—Western Hemispheric history—with the mythic volume cranked up. It helped me revisit the fantastic, refashion legend and folklore, in ways that fast became important to my way of seeing things and telling stories. If Tolkien’s writing inspired me, the inspiration was shaped by Garcia Marquez. Through One Hundred Years I met my best friend, Gali Sanchez, who shared my passion for the book. It provided us with the first point of intersection. There was not room enough in the Uffizi queue to kneel or grovel. I was not the worst of fanboys, careful not to rhapsodize, to ask about the health of a distinguished man in his eighties. I left his work to the side, talked to the young woman about her uncle, trying not to presume that he was my uncle, too, but at that time, as in the years since that icy Vermont winter, I felt as though he was. Remedios the Beauty stayed there wandering through the desert of solitude, bearing no cross on her back, maturing in her dreams without nightmares, her interminable baths, her unscheduled meals, her deep and prolonged silences that had no memory until one afternoon in March, when Fernanda wanted to fold her brabant sheets in the garden and asked the women in the house for help. She had just begun when Amaranta noticed that Remedios the Beauty was covered all over by an intense paleness. “Don’t you feel well? ?she asked her. “Quite the opposite,?she said, “I never felt better.? She had just finished saying it when Fernanda felt a delicate wind of light pull the sheets out of her hands and open them up wide. Amaranta felt a mysterious trembling in the lace on her petticoats and she tried to grasp the sheet so that she would not fall down at the instant in which Remedios the Beauty began to rise. Ursula, almost blind at the time, was the only person who was sufficiently calm to identify the nature of that determined wind and she left the sheets to the mercy of the light as she watched Remedios the Beauty waving good-bye in the midst of the flapping sheets that rose up with her, abandoning with her the environment of beetles and dahlias and passing through the air with her as four o’clock in the afternoon came to an end, and they were lost forever with her in the upper atmosphere where not even the highest-flying birds of memory could reach her.